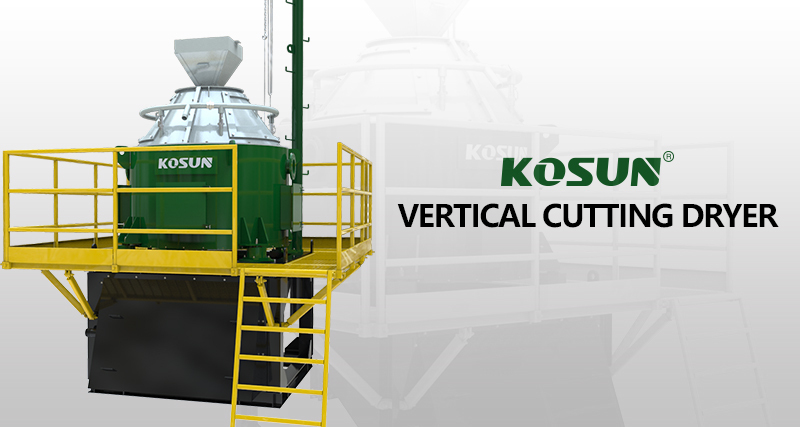 KOSUN Vertical Cutting Dryer is well known with high quality and best after service sales. KOSUN Vertical Cutting Dryer can effectively recover the liquid phase in drilling cuttings, making the solid phase become very dry. It is suitable for water-base mud, oil-base mud and synthetic base mud. In drilling operations large quantities of drilling cuttings are obtained as a result of drilling deep beneath the ocean surface or on the ground to extract the fossil fuel or oil as we commonly know it. The drilling operations typically yield two kinds of waste – drilling fluids and drilling cuttings. While drilling fluids like mud are used intentionally to aid the process of drilling through well-drilling method, drilling cuttings are the byproduct of the process. This mix of fluid and solid is brought to the surface for further treatment. The separation of two is carried out with mechanical means, the core equipment in the process being a “ Cutting Dryer ”. Before we understand the process better, let us look into the need for this drilling waste management, why so much importance is attached with such an ordinary task? Well, the answer is much more complicated than you would expect. The oil and gas wells have been drilled for over a century now and the companies and authorities have grown more aware of the environmental impact of the drilling waste management. Stricter rules and regulations are deployed to companies that has prompted the researchers to find out better ways of dealing with this drilling waste. Naturally the stakes are high for all the parties involved. One of the most modern approaches of dealing with drilling waste management is returning the drilling cutting waste back to the deep zone where they originally came from – the deep reservoirs, and there are various equipments deployed for supporting the process but before the disposal it is imperative that the drilling cuttings are well treated for the removal of any harmful drilling elements. The usage of cutting dryers makes that possible. What it does is separate the fluid from the drilling cuttings in a most efficient way, to recover the oil on cuttings and leave remaining waste more suitable for further disposal. So it will be fair to conclude that the cutting dryers are actually at the heart of drilling waste management process. Some of other traditional methods of drilling waste disposal are: land-spreading and land-farming, evaporation and burial onsite, underground injection, incineration and other thermal treatment, bioremediation and composting, and reuse and recycling. VERTI-G cuttings dryer are also called as centrifuge, are efficient solid-liquid separation equipments, from the feed device, washing equipment,filter silo,separation system, transmission, and electronic control devices. VERTI-G cuttings dryer are the core equipment for drilling waste management unit, which are the necessary part for drilling environment protection projects. There are two different types of Kosun vertical cutting dryer , the VC-800 cutting dryer and the VC-1000 vertical cutting dryer, all using high-speed vertical centrifuges for maximum liquid / solid separation in large quantities; it is used with Solvedrilling The dryer is the same. With new design and high quality assurance, the WestPetro cutting dryer offers key advantages for operators to meet the stringent environmental conditions of cutting and oil drilling. The VERTI-G cutting dryer has the most advanced design and can handle a different amount of cutting and fluid, usually up to 60 tons per hour. The dried solids discharged from the dryer are usually wetted by ≤ 5% of the oil content. By recycling mud in cuttings, vertical dryer can decrease drilling costs and lessen environmental pollution. Processing capacity of 40-60T / h, after treatment of cuttings oil content (OOC) can be reduced to 5% (w / w) the following, Meet for international emission standards and environmental requirements. Vertical centrifuges can also be used for drilling waste management on land and offshore drilling waste. We manufacture Vertical Cutting Dryer Equipment and Drilling Waste Management Equipment for more than 20 years experience with API, IADC, ISO and CE certificated. Kosun will integrate global resources, embark on the Chinese market, provide a full range of one-stop oil drilling fluid solid control products and waste treatment products, solutions and a high sense of responsibility and sustainable innovation services, employees, customers and shareholders, and Customer satisfaction for the KOSUN people’s eternal pursuit. In 2017, KOSUN will continue to make a stage pose with a series of typical products we are expecting your visit! Vertical dryer can als be considered a vertical centrifuge. The discharged cutting material is transferred from the top opening to the vertical cutting dryer by the centrifugal force generated by the rotation of the screen module by the screw conveyor. 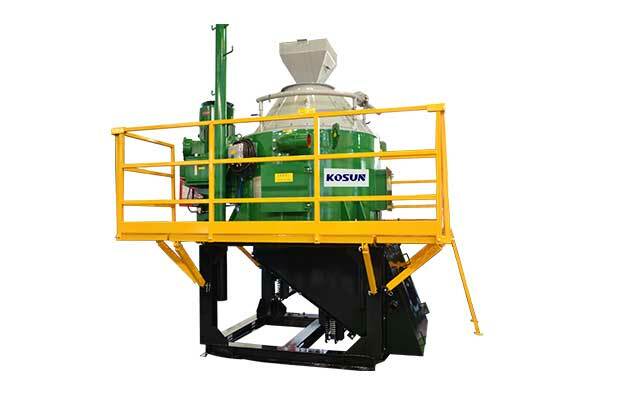 The Koson Cutting Dryer consistently produces as little as 1% of the oil remaining in the weight of the cut. Centrifuges are used for separation, such as to enrich nuclear fuel for fissile isotopes. b. 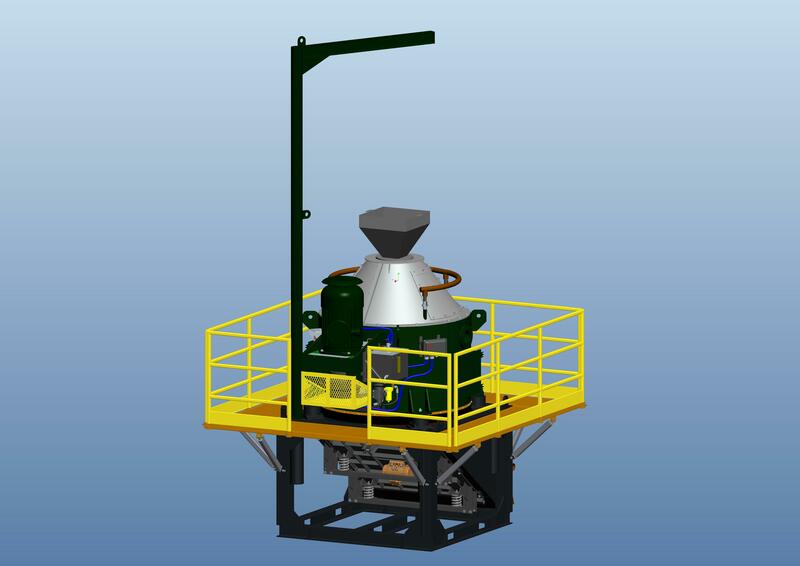 Capacity of up to 50 tons. c. Separate and dry different types of drilling waste, such as water-based mud, oil-based mud, compound mud. d. The use of independent oil lubrication and cooling systems to extend equipment life. f. Flexible discharge port, you can use different models, such as screw, belt and so on. g. Water-based mud and composite mud: water content of 8-10%, oil-based mud: water content ≤ 6%, OOC ≤ 3%. More stringent chip discharge regulations force operators and drilling contractors to reduce drilling waste and recycle quality products for reuse. Cutting dryer with the most advanced design, can handle a different number of cutting and fluid, usually up to 60 tons per hour. The dry solids discharged from the dryer typically contain an oil content of & lt; 5% by wet weight. Cuttings dryer increase the overall cost-effectiveness, resulting in a reduced amount of extremely dry chips for disposal and recovery of valuable fluids for reuse. It is effective for water, oil and synthetic drilling fluids. Vertical cuttings dryer for sale with low price, high-quality vertical dryer is welcomed by customers. As top of in China’s solids control, We will continue to provide high quality produts and best services. Please welcome to contact Kosun company to get more detail information. We are wating for your cooperation. Cutting dryer of Kosun is a vertical scraper discharge centrifuge.Which is an efficient solid-liquid separation equipment, from the feed device, separation system, filter silo, a silo, transmission, washing equipment and electronic control devices. Cutting dryer is used in the drilling industry. 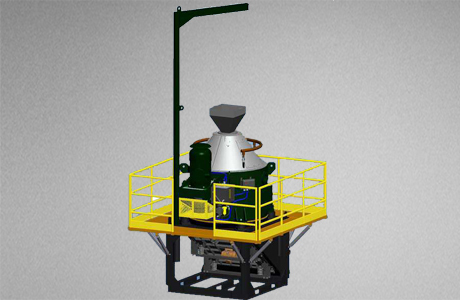 The debris shredder effectively recovers liquid components from the drill cuttings and makes the solid phase very dry. Vertical Cuttings dryer can also be used in onshore and offshore drilling. Vertical cutting dryer of the entire system clever application of the dual role of centrifugal force and gravity to achieve the continuous work of the equipment to achieve a high working efficiency. Slurry from the feed inlet into the centrifuge, in the separation system by the role of centrifugal force, through the filter screen to retain solid, liquid through the screen into the filter chamber from the mother liquid port discharge. The solid in gravity and centrifugal force component of the downward movement, through the silo into the lower section. During the course of the movement, the solids are washed by pumping the wash solution through the wash system. All power is driven by a motor. In the separation process, you can adjust the feed rate and the relative position of the various parts of the separation system to control the solid residence time in the separation system to achieve the required solid content of water requirements. Innovative design of the pumping spindle, with NU series of inner and outer ring detachable cylindrical bearings, can facilitate separation of the spindle from the body, reducing the difficulty of assembly and demolition, improve installation quality, easy accessibility, no damage parts. Innovative design of the separate bearing housing structure, to change the traditional bearing outer ring directly with the bearing seat of the main installation mode, on-site demolition easy and convenient, no damage to parts. Spindle in the design of reference high-pressure oil demolition bearing the principle of reducing the difficulty of maintenance, disassembly without damage, while extending equipment life.